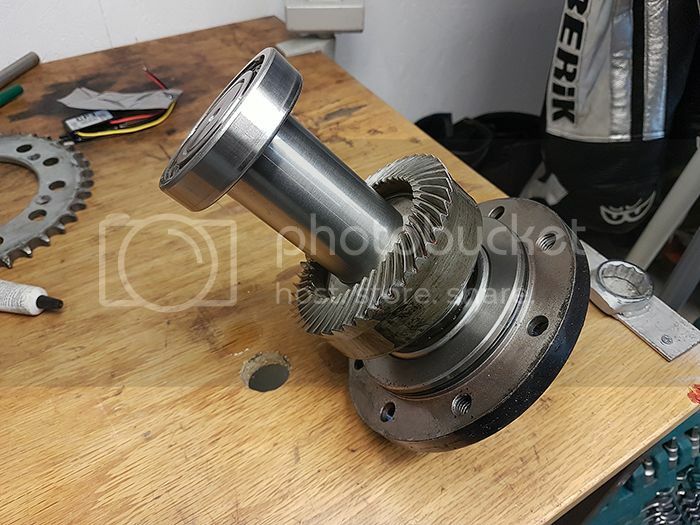 When I got back home from work the printer was finished, after removing the internal supports the finished part looked like this. 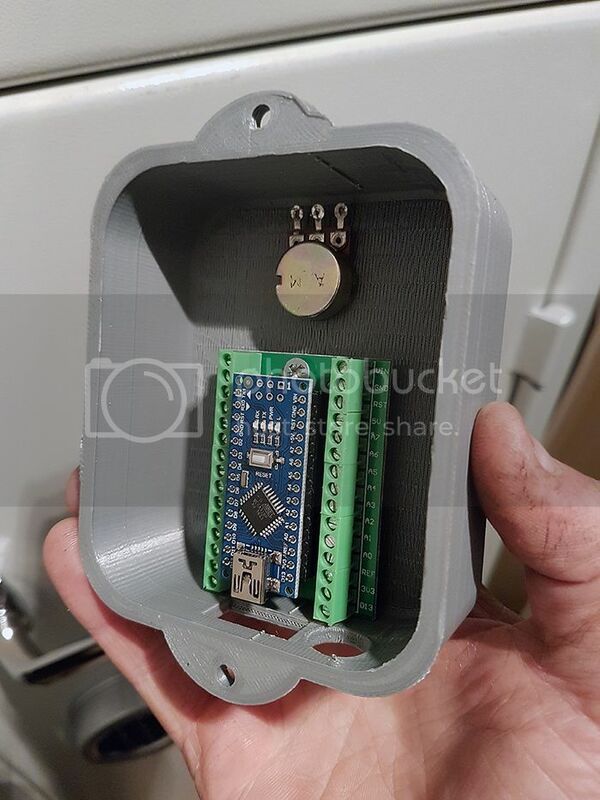 Inside is an Arduino Nano that will act as the PWM controller, the potentiometer is for adjusting the idle. 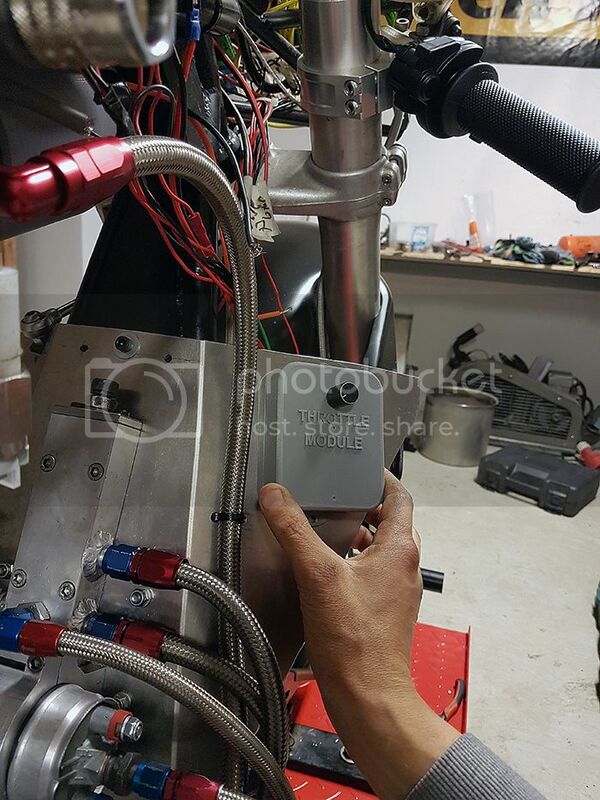 Here is the place for it on the bike, it should look pretty neat once everything is wired up. I also got the fuel pressure gauge in the mail today! 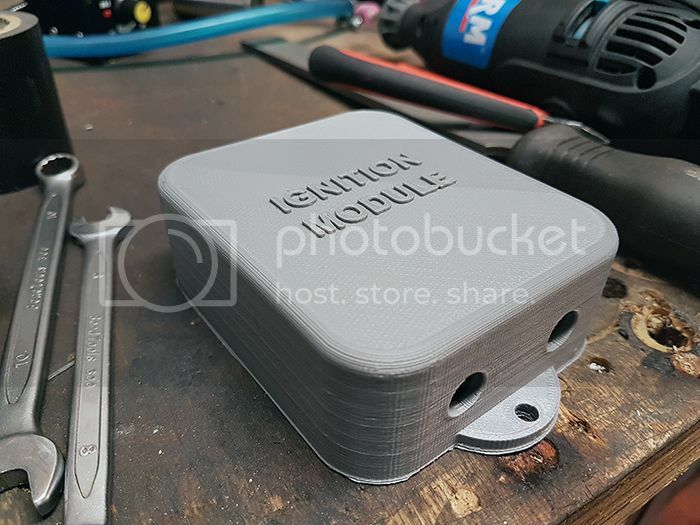 After a 7 hour print the ignition box is finished, I had to print it during the day since my mother-in-law wouldn´t appreciate having a whirring and buzzing 3D-printer next to her bed all night through. The internals, a high voltage transformer that throws centimeter long sparks loud enough to hurt the ears. 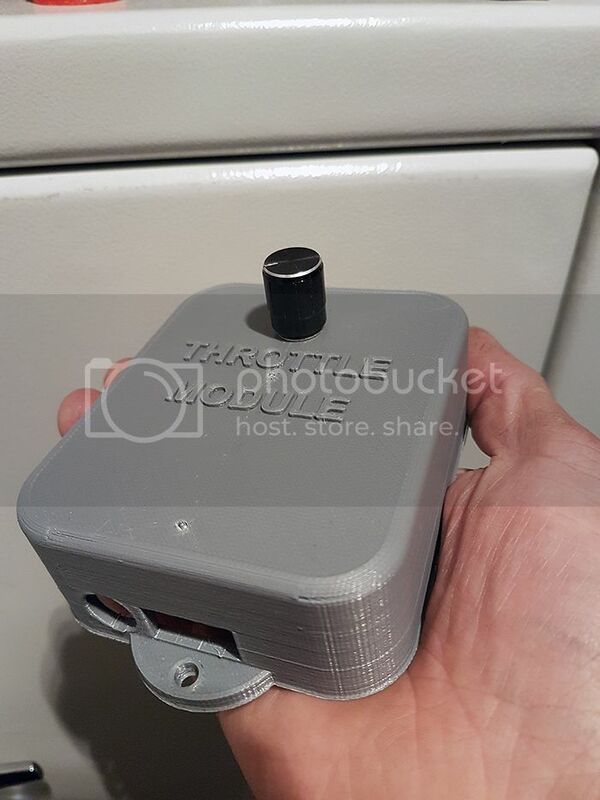 Anders said: "...my mother-in-law wouldn´t appreciate having a whirring and buzzing 3D-printer next to her bed all night through..."
And the down side is. . .? 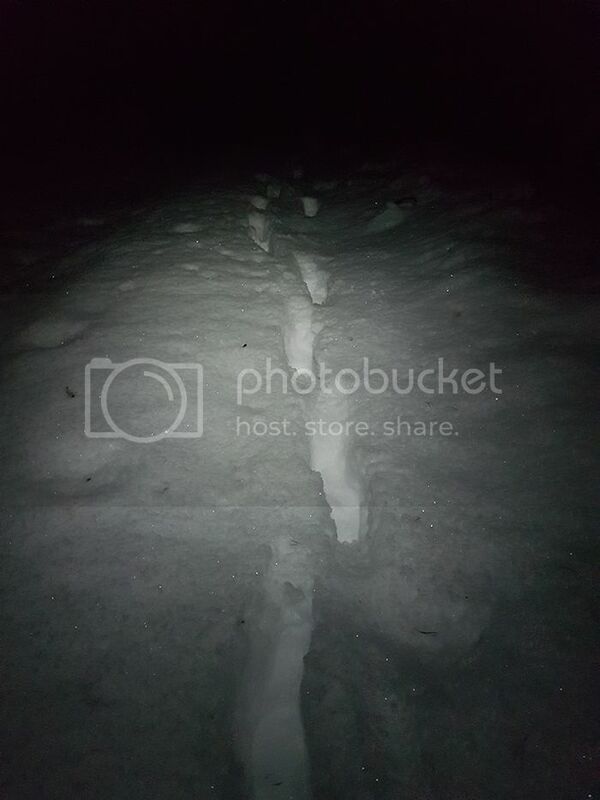 She is a kind woman, made me dinner while I was out on a pleasant 15k run in ancle deep snow. 15K run? In snow? I never run unless something is chasing me! Well, I figured it out now .... you don't sleep. With all the work you do plus a 90 minute run 15K snow run, you can't sleep. 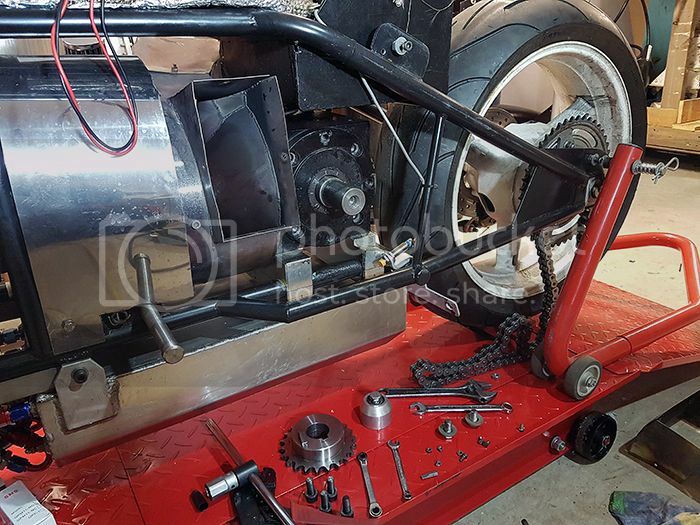 Since I had the fairings removed it was a quick job to take the gearbox apart and check for any recent wear. Nothing disturbing to see here, the magnet plug at the bottom was more or less clean which indicates that the setup seems to work. 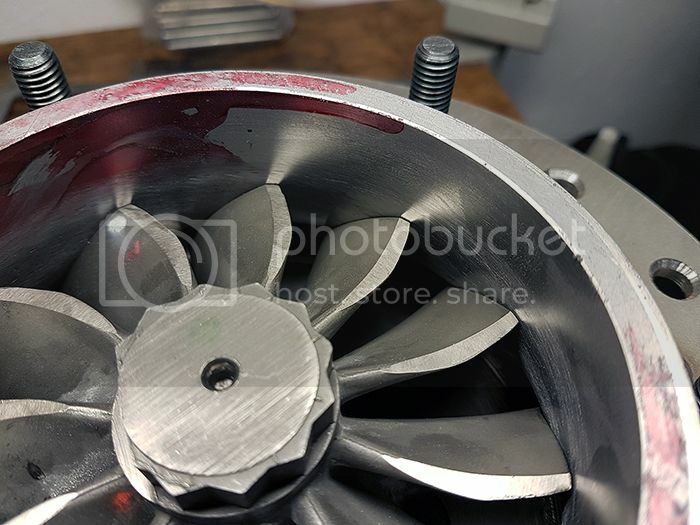 A closeup on the crown wheel, the minor wear visible has been there since the first ever test run when I forgot to fill the gearbox with oil. Everything seems to be in order, so now I can assemble the rear end of the bike again. 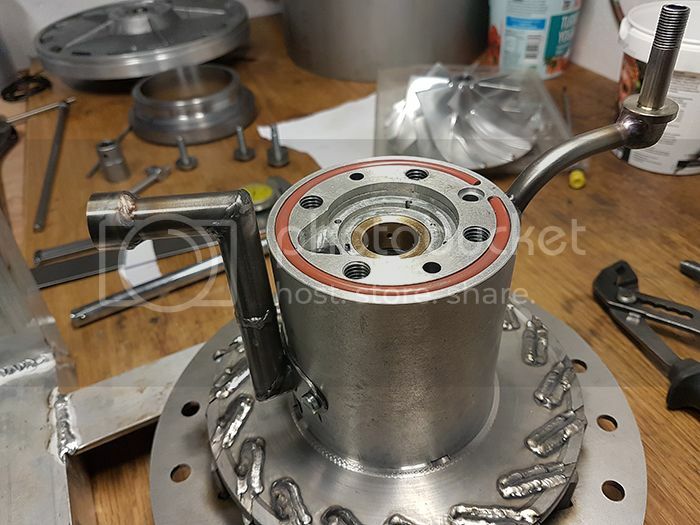 After spending a couple of evenings fault finding the bike tachometer I got tired of it and decided to get some work done on JU-02 instead until Olov has time to come over and help me out. No rush Olov since it is much more fun to build a new engine than trying to get electronic stuff to work. 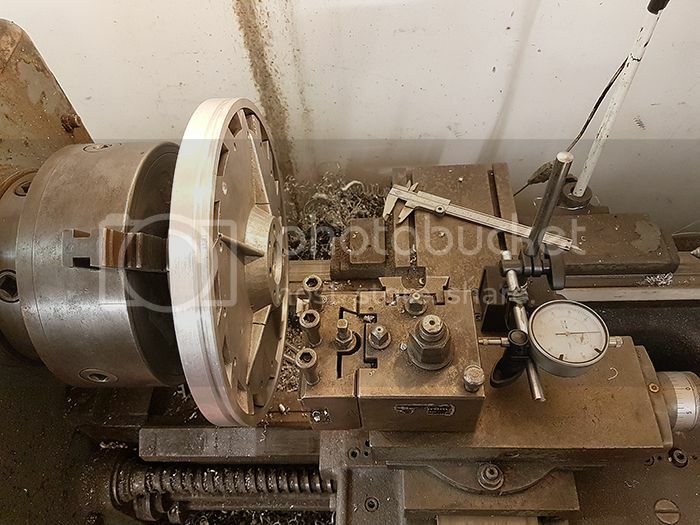 The first project for the evening was to do the final adjustment to the axial bearing clearance, I measured it to 0.3mm which is a bit much so I took two tenths of a millimeter off the mating surface for the shaft tunnel and was rewarded with a snug 0.1mm clearance. 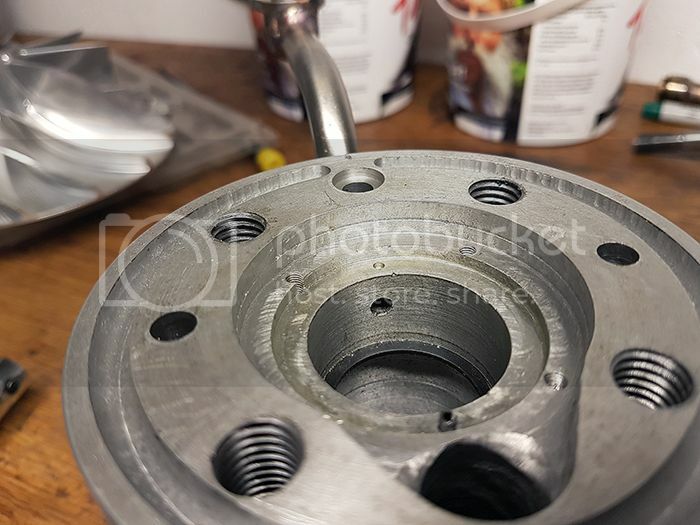 Next I had to confess to myself that the fancy countersunk insex screws holding the compressor cover to the diffuser had to go, the compressor cover wasn´t perfectly centered around the compressor wheel and the countersunk screws made it impossible to adjust. 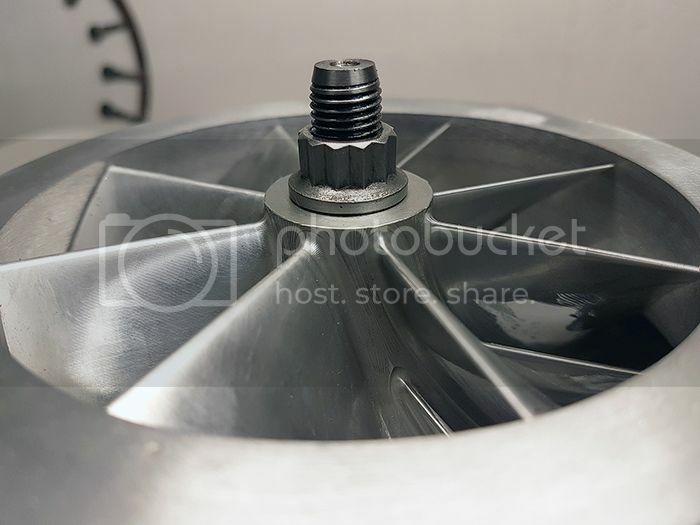 With washers and regular screws I could center everything perfectly so I have to live with the somewhat cheesier look. 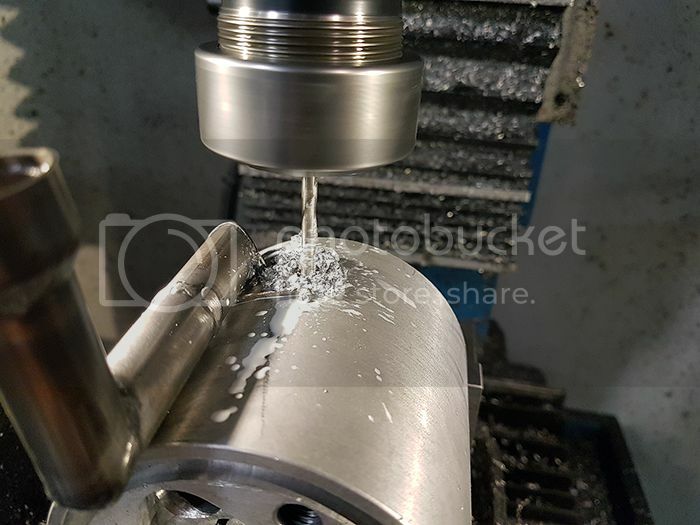 An hour of grinding and measuring later and I was satisfied with the overall clearance, not much left to do before I can put some oil pressure over the bearings for the first time! 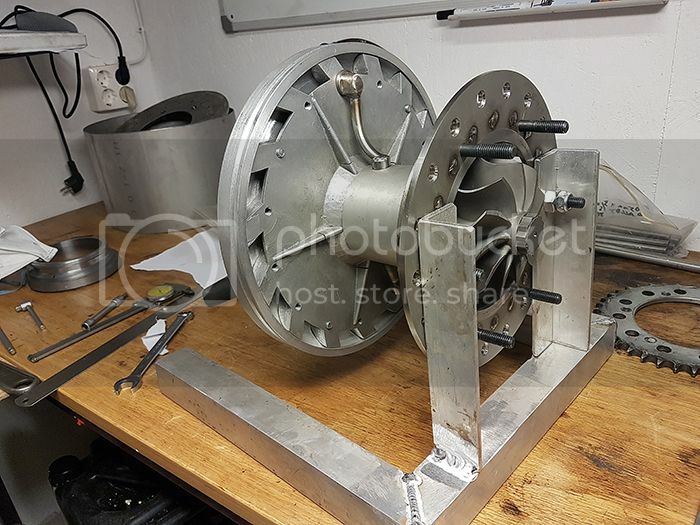 Today I made an engine stand for my new bike engine. 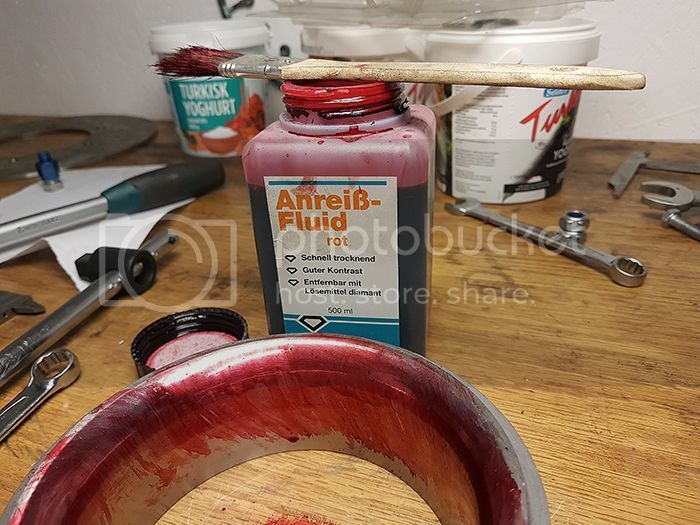 This will make working on the engine much easier when it isn´t rolling around on the work bench any more. 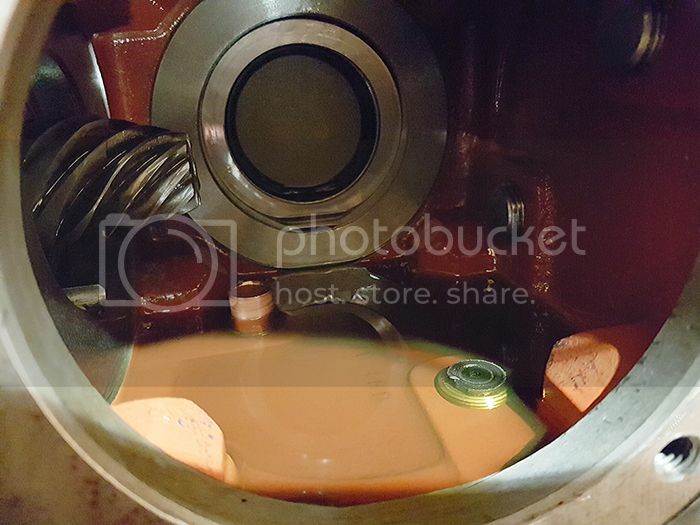 Tonight I decided to give the bearing tunnel some love, first off was to modify the oil channels a bit. 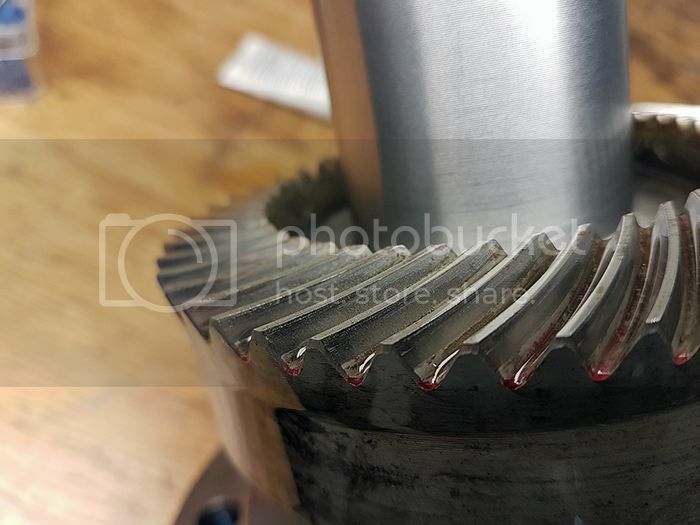 I used the Dremel to grind a groove in the bearing seat so the oil always can reach one of the holes in the journal bearing, I know from JU-01 that it works anyway but this is an improvement. 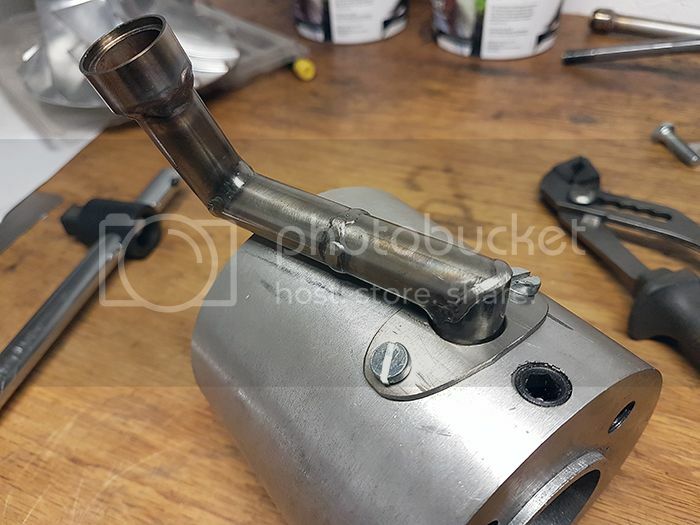 With that done I turned the shaft tunnel over and started making a bracket for the oil return pipe, without it the pressure in the shaft tunnel might push the pipe out of the O-ring seat and cause a massive oil leak inside the engine. 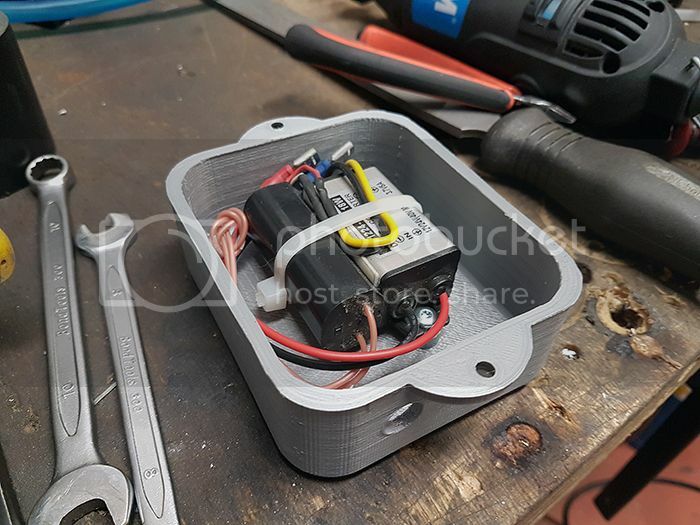 It turned out like this, I´ll fit insex screws drilled for lockwire later so they cannot come loose. 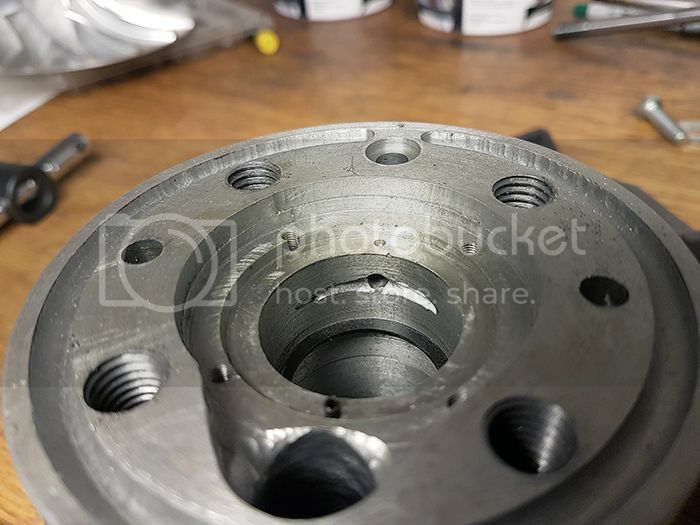 I won´t weld the bracket to the pipe until I have made the rest of the return line so I know exactly what angle it will have. 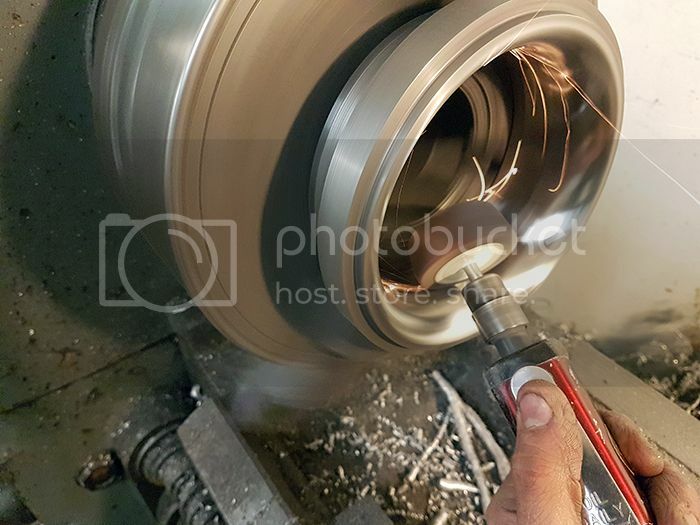 Another milestone in the JU-02 project is reached, today I spun the rotor with oil pressure applied for the first time! I measured the oil flow to aprox. 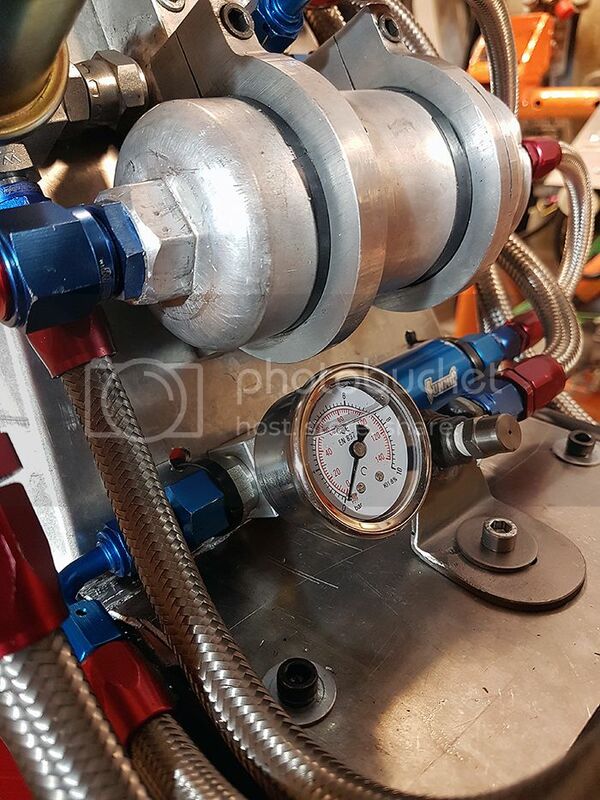 0.5 liter/minute with +5°C oil, it should be no problem for the single scavenge pump to keep up with that flow when the engine isn´t running. 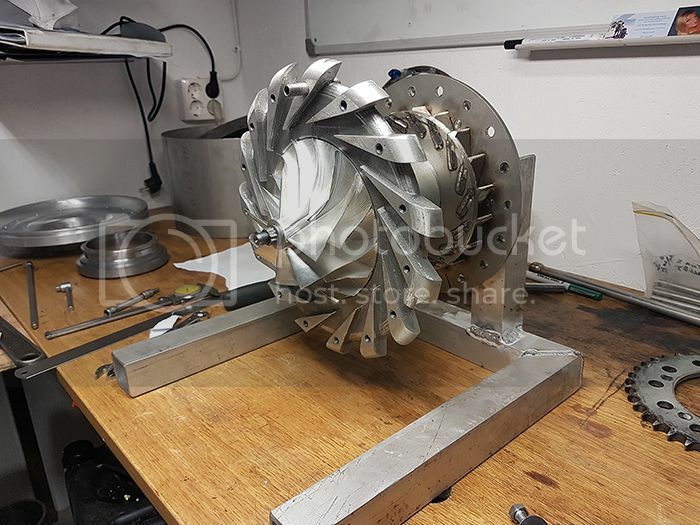 Everything spun freely with snug bearing tolerances so I am very satisfied, next up is to do the final fitting of the turbine cover and start figuring out how to design the flame tube. 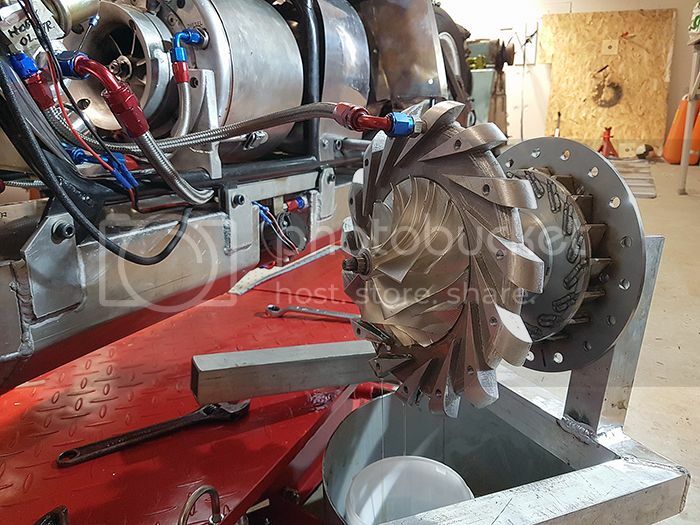 With the compressor cover properly adjusted for compressor clearance it was about time to get the turbine cover done as well. I painted the cover with scribing fluid to see where the blades rub. I did aprox. 10 passes of painting, rubbing and grinding in the lathe before I was satisfied. A bit difficult to take a picture of the result, but here it is. No rubbing whatsoever with the shaft pressed in every possible direction. 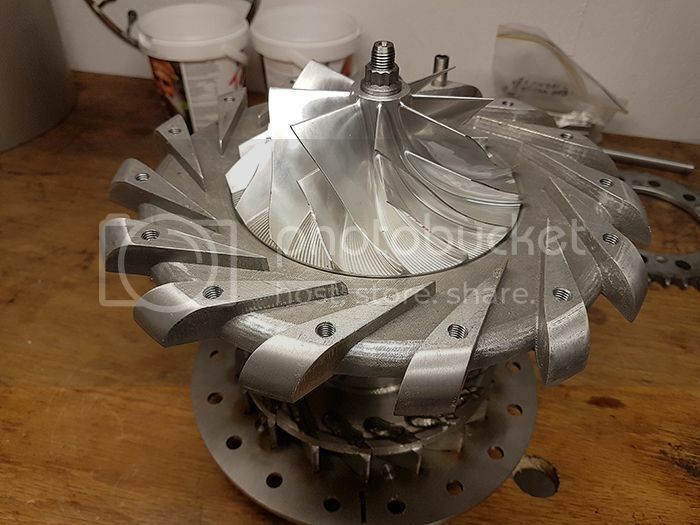 With that done I can start thinking about the combustor design, I measured everything and fitted a handful of evaporators just to get an idea of what everything will look like when finished. Like many others, I am amazed at your abilities and capabilities but now have a question. 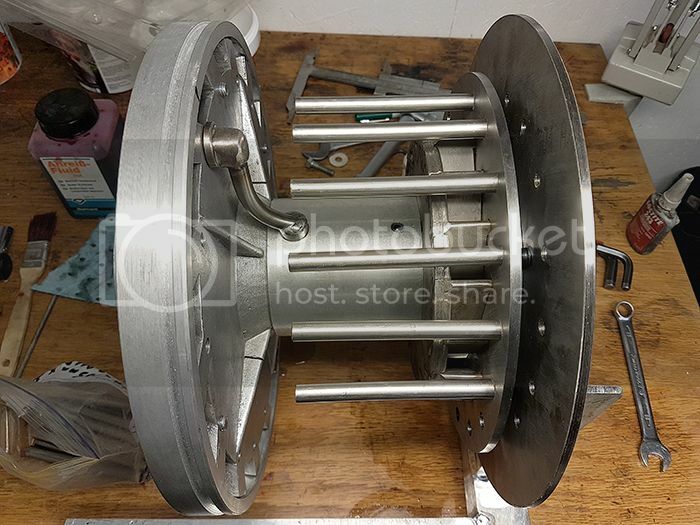 In the finished compressor clearancing photo, the leading edges of the vanes have been flattened off on the outer portion, resulting in a relatively sharp angle at the flat’s trailing edge. It seems like that would lead to separated flow and affect the flow and efficiency. Just wondering about why the flat is there. Thanks.